Customized up to Lehenga : 40 & 42. 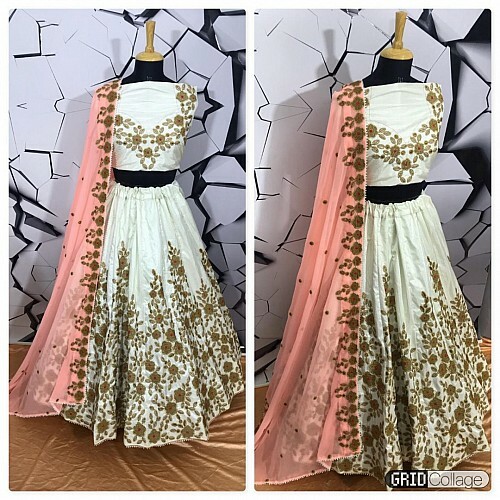 Occasion: Wedding & Festival Girlish Special. Lehenga DetailsColor: light orange Fabric: mulberryFlair Work: golden foil paper embroidery.Length: 42 inch. (Semi Stitched)Customized up to Lehenga:&..